So the summer holidays are almost over and with that it means the little ones are trading the comfortable shorts and T-shirts for the dreaded uniform, as well as putting away their X-box controller and grabbing the books. The beginning of the school year is always very exciting, it means meeting the new teacher, seeing their old school friends again as well as making some new friends. Just as exciting should be their oral hygiene routine. Helping our kids succeed in life is every parent’s responsibility and with the high demands of school life and extra-curriculum activities kids have now days, it is paramount to establish good sound oral habits. Positive and fun oral health habits from a very young age is the basis for creating and maintaining excellent long-life dental health. It is recommended to brush our teeth twice a day and also floss daily, this is no exception for kids and the younger they are introduced to this routine, the more likely they are to maintain it through out adulthood. Despite the morning rush always encourage them to brush in the morning before going to school. Dental tools such as toothbrushes come in all shapes, sizes and colours. Many toothbrushes you can get with your child’s favourite cartoon character such as Winnie the Pooh, Elsa from Frozen, Ben 10, Spider-Man, etc. Also try to Make a game of it… If it feels like a game, then it is not really a ‘task’ your child might even start looking forward to brushing their teeth. Use your imagination and get your child involved in making brushing a fun game. Try packing healthy and nutritious lunch boxes that include non-package snack like fruit, vegetables, plain yogurt, cheese. Eating foods with high sugar content (which can be hidden in some foods well) frequently throughout the day increases the risk and dental cavities. Learn to read food labels to see how much sugar is in the food and types of sugars. Drink plain water! Avoid packing juice, flavoured milk, sparkling water, cordial, soft drinks, energy drinks as they have contents of sugar and are also acidic. 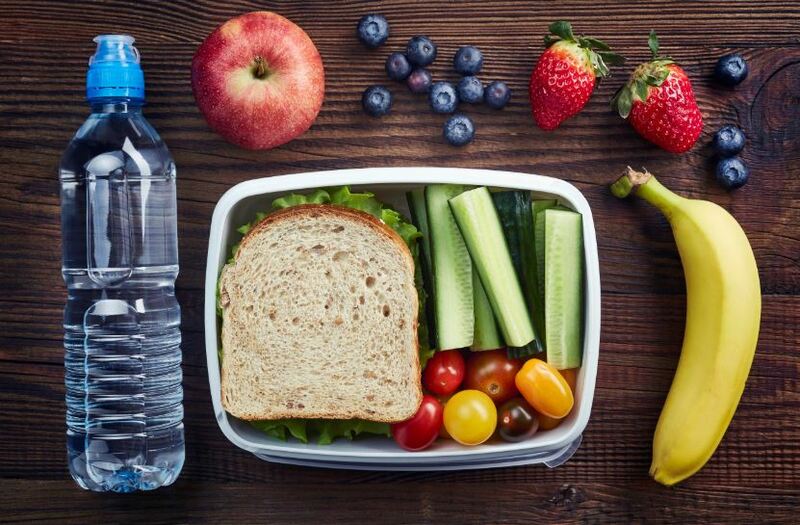 Getting your kids involved in preparing their lunch boxes is a great idea as they can have a say also, they start from young age why it is important to keep a healthy well-balanced diet. Sometimes it is easier said than done, however it is so worth persevering and offering healthy meal options. If your Child plays a contact sport, and a lot of Aussie Children do, they risk injuring their teeth if their mouth is not protected. These sorts of injuries can be difficult to treat, and often involve a lifetime of expense. Mouthguards can protect your child from serious sporting injuries, such as broken jaws, fractured, cracked or knocked-out teeth, cut lips and tongues. It is important to have a professional custom-made mouthguard. At Morphett Vale Dental Care would like to prevent sports injuries and we construct custom fitted mouthguard which are far superior to an over- the- counter mouthguard. As they have an accurate fit, le you talk normally, don’t restrict your breathing and stay firmly in place, allowing you to concentrate on playing the sport you love. You should consider it a mandatory part of their sporting equipment. At Morphett Vale Dental Care, we recommend that children visit the dentist twice a year for regular check-ups and clean. Our dental therapist Jesse is highly qualified and experienced in treating kids. Our kids program focuses on preventive dentistry, our main goal is to detect issues before they become painful and expensive problems. We strive and take pride on making your child dental experience fun, educating and exciting. Morphett Vale Dental Care is a family dental practice. We strive to give you and your child the best experience in a friendly and relaxed environment with the highest quality care each and every time you visit us.